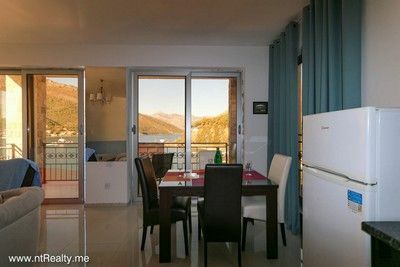 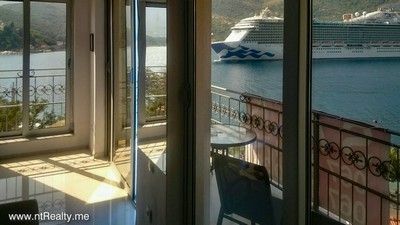 Modern and stylish with panoramic view over Tivat Bay and Verige Strait, this rare 2 -bedroom apartment is located just over one of the most beautiful beaches near Tivat Centre - Opatovo. 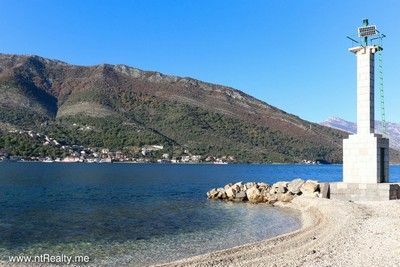 It is a gravel-sand beach, divided to the left and right side of the lighthouse and located along the road Lepetani-Tivat, ideal for those who are looking for calm and intimate rest. 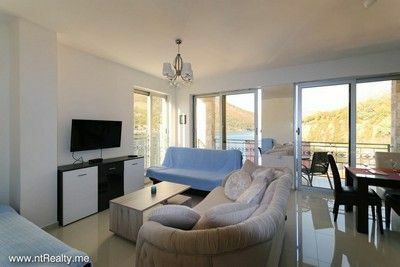 This beachfront apartment, size of 87 m², could easily be divided into two separate living units according to its interior layout. 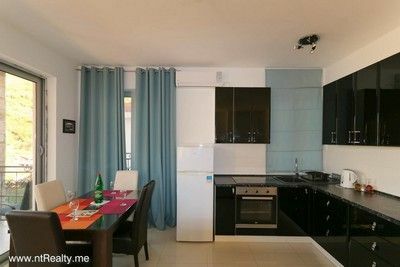 It consists of 2 living areas, 2 kitchens, 2 bathrooms, 1 bedroom and two terraces. 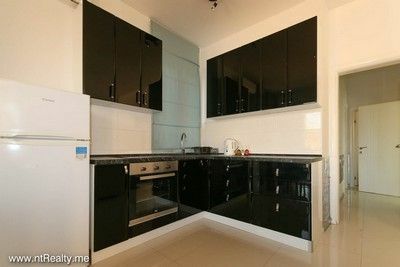 The kitchens are fully equipped with a fridge, freezer and electric oven. 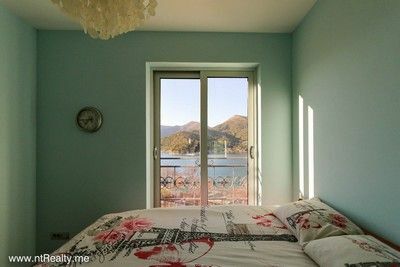 Bedroom has a fantastically comfortable super king bed and beautiful sea view. 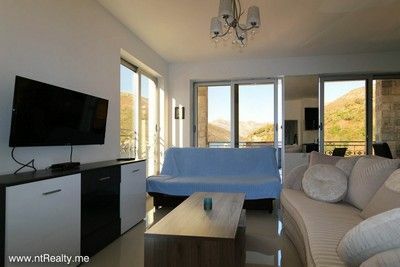 The apartment is ideal for solo travellers, couples, friends, families and business travellers. 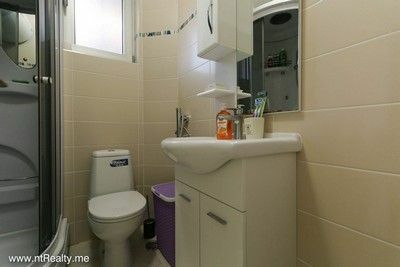 Unfortunately, it is not suitable for wheelchair users due to the higher number of stairs leading to the apartment. 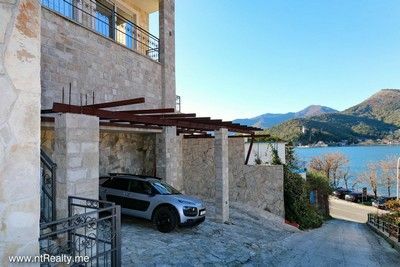 Parking place and underfloor heating are included in offer. 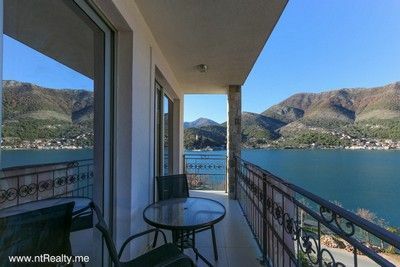 The apartment is 10 minutes from Tivat Centre and Porto Montenegro. 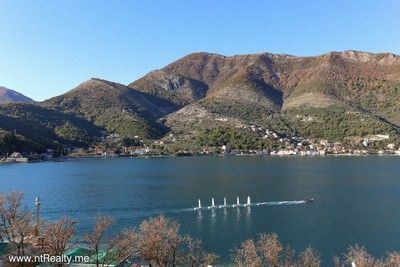 It is not too far from nearby airports Tivat (6 km), Podgorica (87 km) and Dubrovnik (44 km). 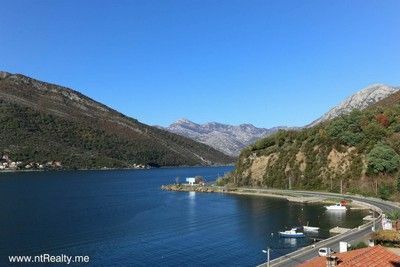 Ferry port is 800 m away, Kotor 14 km and Budva 26 km.